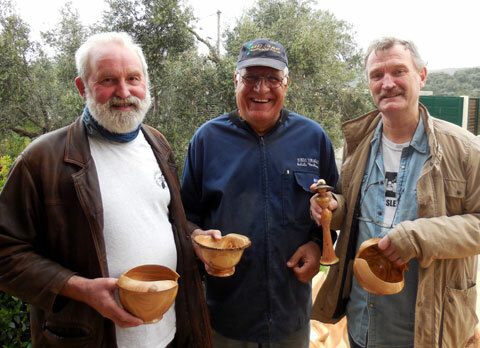 Come and enjoy a few days of inspirational woodturning with me in the beautiful countryside of Crete. 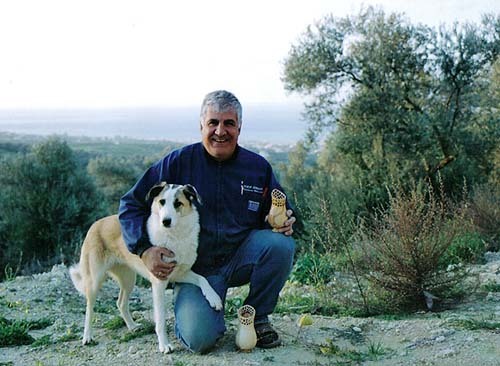 In the well-equipped workshop you can learn with me and also enjoy views of the hills and sea. Create new work in beautiful surroundings. .2 or 3 day courses are available on the dates shown below. Summer season: April to October, timetable is 10am to 3.30pm Courses are for up to 3 students. This timetable allows you to spend the rest of the day with your friends/family, to explore the area or just chill out on the beach. Turn in a spacious well-lit workshop. INTERMEDIATE AND ADVANCED STUDENTS - The two or three day courses are appropriate for you for up to 3 students. I will assess your level and then suggest a number of possible projects that you could make. BEGINNERS AND THOSE WITH LITTLE EXPERIENCE - The one day, one-to-one , course is appropriate for you. This could be extended to a second day if necessary. You will follow my step by step programme on tool use and cuts to make a simple item. 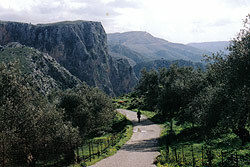 Includes pick up from your accommodation in Rethymno town and a light lunch. Olive wood to take home. 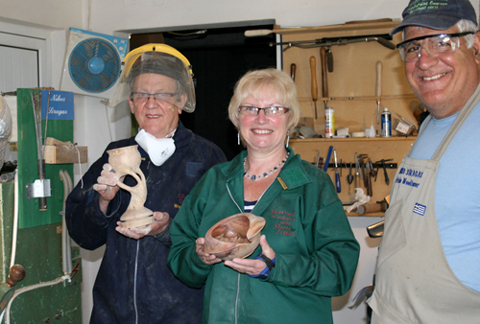 Click on this link to read about a recent student's partner, who experienced some of the activities here while her husband was on a woodturning course. Please ask if there is something you are interested in and we will try to provide it! All courses will deal with safety factors, wood storage and treatment, tool sharpening and technique, design considerations. I have many varieties of wood to show you and we can work with some of them. 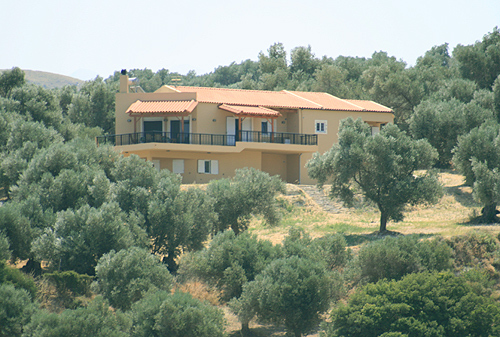 My house and workshop are set in wonderful scenery , 10 minutes drive from Rethymno with its long, sandy beach, delightful Old Town and many good quality hotels and apartments. 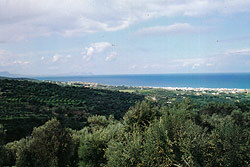 There are two airports, Chania and Heraklion both about an hour from Rethymno. To make your trip easier my wife and I can help organize your accommodation and transport while you are here. Fantastic training and tuition. Maybe my work will improve from here? Certainly my finishing will. Thanks Nikos and Frances – I will have great memories to take home in addition to two unique pieces. Enjoy the view from the lathe. And beautiful walks in the area. View of our new house with the spacious workshop underneath. I look forward to meeting you in my workshop!